ISLAMABAD: The Pakistan government is likely to announce a Rs10-billion research development fund in an effort to boost cotton production next season as the harvest remains unimpressive for the past few years. 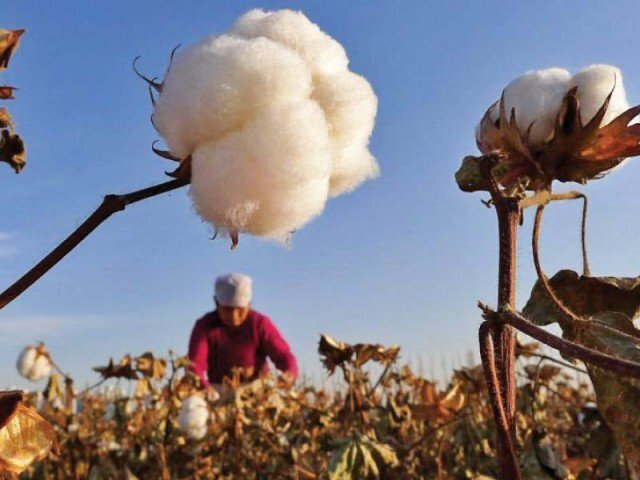 Talking to The Express Tribune, a senior government official disclosed that a high-level meeting on Wednesday tried to prepare a plan for enhancing the production of cotton that had been virtually stagnant for the past few years sparking concerns among government circles. Representatives of major cotton-producing provinces – Punjab and Sindh – attended the meeting held at the Planning Commission. Other stakeholders were also present. Cotton production has been estimated at 11.1 million bales in the ongoing season against the target of 12.6 million bales. The harvest was even lower at 10.7 million bales last year. In the huddle, the idea of creating the research development fund was floated which was welcomed by Punjab and Sindh. Elaborating, the government official said it was a 10-year plan, which would be sent to the federal cabinet for approval. It is likely to be formally announced in next fiscal year’s budget in May this year. Under the plan, the government will spend Rs1 billion every year on research activities to find out ways of increasing the production of cotton, which feeds the massive textile industry of Pakistan. The plan came after spinning mills went to court challenging the cotton cess amounting to Rs400 million that they had been paying every year for spending on research work. However, for the past two years, they had refused to contribute and went into litigation with the federal government. According to the government official, it was decided in the meeting that the research fund would be disbursed in the form of competition grant to the researchers. In recent years, the cotton plantation area has shrunk in the wake of setting up of sugar mills in the cotton zone of south Punjab. Absence of a support price has also pushed cotton farmers towards planting other crops such as wheat and sugarcane for which the government has been announcing support prices to ensure a fair return to the growers. Cotton farmers have not been able to notch up satisfactory earnings and have switched to sugarcane cultivation in areas where sugar mills have been set up. Country’s economic managers had decided last year to frame a national sugar policy in a bid to secure the cotton belt that had come under threat from the growing number of sugar mills and planting of sugarcane in such zones. Almost 70% of sugar mills are located in the core cotton zone of the country, especially in Punjab. The presence of mills in top cotton-growing areas and their increasing crushing capacity have caused a 26% decline in cotton-sowing areas, especially in south Punjab including Rahim Yar Khan and Muzaffargarh. The Ministry of Textile Industry has also demanded that provinces should stop granting permission for establishing new sugar mills in the cotton-growing areas. In the meantime, sugarcane cultivation has increased in the wake of improved returns and timely supply of inputs. Simultaneously, the prices of sugar have also gone up from Rs31 to Rs68 per kg over the past 10 years. According to the Ministry of Textile Industry, the higher sugar prices have been an attraction for setting up more sugar mills, which went up from 45 to 85 across the country. Of these, 45 were located in Punjab, 32 in Sindh and eight in Khyber-Pakhtunkhwa.